Cole Hamels knows all about pitching in big games. And even this early in his career, he knows how to pitch in the postseason. As the number three, yes #3, starter for the Phillies in the postseason Hamels was asked to pitch the third and clinching game of the Divisional Series against the Cincinnati Reds. Sure, no big deal. But how do you follow seven unanswered runs in Game 2 and not to mention only the second no hitter in postseason history that was Game 1? With a complete game shutout of course. Hamels owns the Reds. Before Game 3, he had seven career starts with six wins and no losses against Cincy. He went to work in Game 3 and continued to battle until throwing the final pitch, number 119. 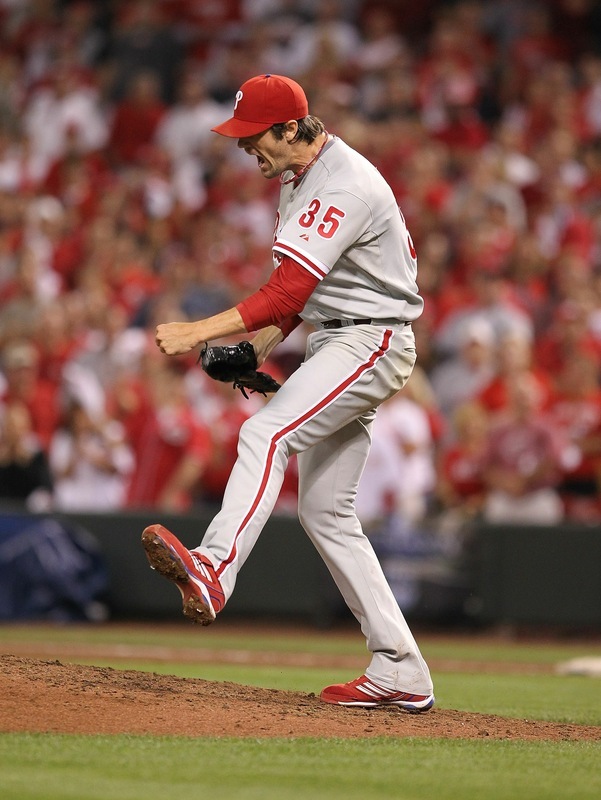 All season, Hamels had received little run support and this night was no different. The Phillies had scored 11 runs in the first two games but managed only two in the third and final game. As Hamels quickly made it through the Reds line up he would only need one, a first inning unearned run made possible by Cincy’s sixth error of the series. Hamels struck out former Phillies player Scott Rolen to end the game and it was business as usual. I cringe to say the Phillies (knocking on wood) have grown accustomed to winning in the playoffs and while nailing down their first postseason sweep in franchise history, the team knew there was still work to do. Hamels only faced four hitters over the minimum striking out nine and walking none. To close out the season Hamels had won five of his final seven starts with an ERA under a run and a half. For your stat book – Chase Utley‘s home run, his first this postseason, was his 10th career postseason homer moving him ahead of Jayson Werth as the team’s postseason home run leader.